This face cleanser is made with water, not oil, and won't clog pores. 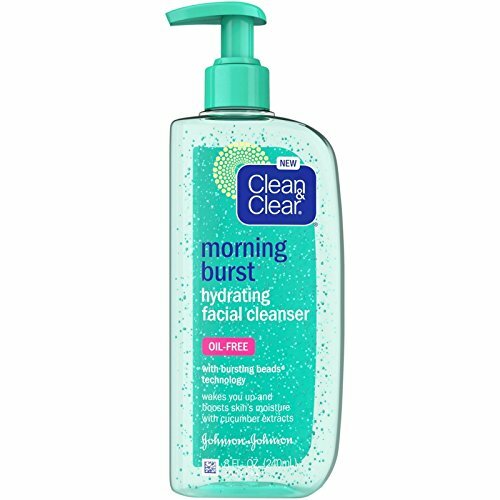 Use Clean & Clear Morning Burst Hydrating Facial Cleanser to hydrate, refresh, and wake up your face. 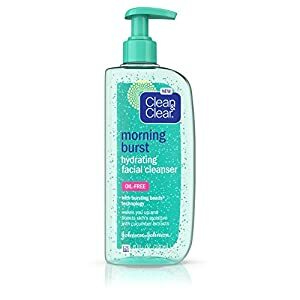 Formulated with Bursting Beads technology and a unique blend of cucumber and green mango extracts, this invigorating foaming cleanser deeply cleans while refreshing skin with a touch of moisture. This face cleanser is made with water, not oil, and won't clog pores. Hydrates, refreshes, and wakes up your face. 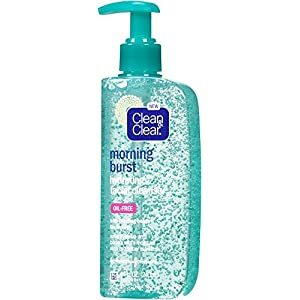 This invigorating foaming cleanser is uniquely formulated with BURSTING BEADS technology. 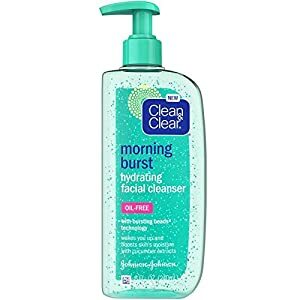 -Clean & Clear Morning Burst Hydrating Facial Cleanser with Bursting Beads Technology Oil-Free 8 Oz. -Pack of 3. -UPC: 381371156863.